Consulting group conducts survey of public satisfaction with the two districts. 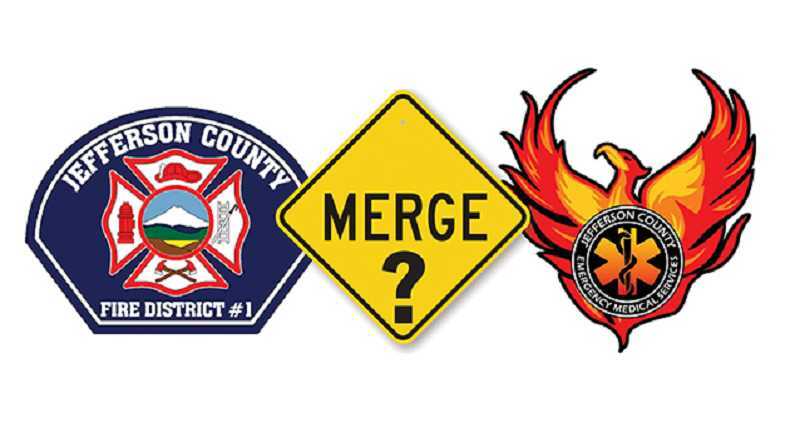 As part of the Matrix Consulting Group's study of the services provided by the Jefferson County Fire District and Jefferson County Emergency Medical Services, the results of an online community survey were released last week. Matrix, a consulting firm based in Keller, Texas, was selected in February, through a county bidding process, to conduct a study on whether or not the two districts should consider merging. In March, the firm launched the online survey, and received 179 confidential responses. The survey was designed to measure the community's view of services — the value and quality of the services provided by JCFD and JCEMS, and the community's satisfaction with the services provided. Of the 179 respondents, 53.6 percent (96) were from Madras, 36.3 percent from unincorporated areas of the county (65), 6.7 percent from Culver (12), and 1.7 percent each from Metolius (3) and the Three Rivers area (3). Top priorities from a list of services provided by the two districts were emergency medical services (89.7 percent) and structural firefighting (81 percent), followed by wildland firefighting (60.3 percent), technical rescue (42.5 percent), search and rescue (41.4 percent) and emergency preparedness (40.8 percent). Other services and the percentage that found the services "extremely important" were: community paramedicine (37.4); hazardous materials response (35.6); fire prevention services (34.5); public EMS education programs (31.6); EMS standby at events (30.5); business fire safety inspections (27); public fire education programs (24.1); and home fire safety inspections (22.4). When asked how satisfied they were with services, 43.86 percent were very satisfied by overall response to emergency calls by the fire department, compared to 39.18 percent to overall response by EMS. A total of 44.44 percent were very satisfied with the fire department's response to structure fires. For response to automobile accidents, 44.44 percent were very satisfied by JCFD, and 43.86 percent very satisfied by JCEMS. EMS had a higher percentage of "very satisfied" responses to medical emergencies (41.52), compared to the fire responses to medical emergencies (32.75). About 87 percent of respondents had interacted with a member of the JCFD in the past three years, and about 83 percent with a member of JCEMS. Asked about the overall quality of fire suppression services, 38.65 percent checked "excellent," 42.33 percent "good," 16.56 percent "fair," and 2.45 percent "poor." For JCEMS, 35.98 percent rated the overall quality of services as "excellent," 29.27 percent "good," 22.56 percent "fair," and 12.20 percent "poor." On the topic of overall public education services, 22.98 percent said JCEMS provided "excellent" services, 24.84 percent "good," 32.30 percent "fair," and 19.88 percent "poor." The fire department's public education services were deemed "excellent" by 20.37 percent, "good" by 43.21 percent, "fair" by 28.40 percent, and "poor" by 8.02 percent. When asked if they would like to see a consolidation of services between JCFD and JCEMS, 45.12 percent were extremely interested, 18.29 percent were very interested, 15.85 percent were somewhat interested, and 20.73 percent were not interested. "The overall themes for this section of the survey show that many respondents are in favor of consolidating and many are worried about the costs to the community if they were merged," the report noted. "The community is also concerned with the response times for emergency services and expect prompt service when called," the report continued. "There are opportunities for the department to educate the community about services being provided and the associated costs to perform these services."